We’re all guilty of it from time to time – slipping an unwanted potato under the table into a welcoming set of jowly chops, but years of consuming a poor diet, feeding too many treats or simply choosing an unsuitable dog food, can leave your dog’s system in need of a detox. Dogs are hardy, resilient creatures, but to be in the best health to get the most out of life, they need a healthy balanced diet. 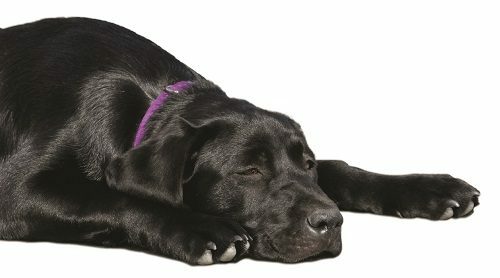 Thankfully, the modern dog owner is pretty well informed about nutrition and diet, but every now and then, over indulging our dogs seems to take its toll which led Liam Fox to wonder - have you ever noticed your dog’s coat lacking lustre and wondered if it directly related to a poor eating spell? What many people don’t realise is, although dogs can survive on a limited diet, they cannot thrive on one. So it is important to acknowledge that feeding the odd bit of left over Sunday roast, not only deprives the dog of his more balanced and formulated food, it can deplete certain vital functions of the digestive system. Which is where fasting can become very beneficial. Going for a day without food will not harm your dog in any way, provided he is in good health. If you have any doubts, consult a vet, but in the vast majority of cases, fasting can accelerate convalescence and give the whole body a much needed jump start.